For all media inquiries, please contact Deanna Howes Spiro: dhowes@ajcunet.edu, (202) 862-9893. Sign up with your email address to receive AJCU’s weekly e-newsletter, AJCU Higher Ed News, and monthly online magazine, Connections. Thank you for signing up for our publications! The Association of Jesuit Colleges and Universities (AJCU) is pleased to name Markus Howard of Marquette University and Makenzie Mason of the University of Scranton the National Jesuit Basketball Players of the Year. This award honors two student-athletes, one man and one woman, who best display excellence on the basketball court while maintaining core values of Jesuit education: men and women for others who are committed to academic excellence, service, leadership and caring for the whole person. On Wednesday, Dr. Michael Mihalyo, Jr., president of Wheeling Jesuit University, announced that the University will remain open for the 2019-2020 academic year. Yesterday, in a follow-up e-mail to the campus community, Dr. Mihalyo announced that eight programs will be offered next fall; all others will be suspended. As we mourn the passing of Cyndy Littlefield, who served as vice president for federal relations at the Association of Jesuit Colleges and Universities (AJCU) for more than two decades, we are reminded time and again about the extent of her work on behalf of low-income students across the country. To honor Cyndy’s advocacy for financial aid programs to help low-income students attend college, AJCU has partnered with her alma mater, Loyola University New Orleans, to endow a need-based scholarship there in her name. The Association of Jesuit Colleges and Universities (AJCU) is pleased to announce its newest associate member: Newman College of the University of Melbourne in Australia. 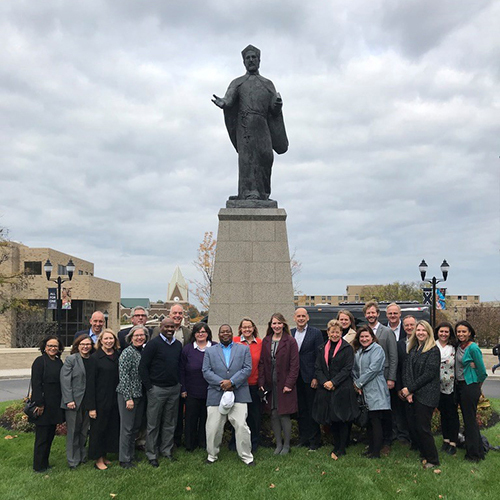 The AJCU Board of Directors voted unanimously to accept Newman as an associate member during its annual winter board meeting in Washington, D.C. on February 2. Newman joins two associate members: Campion College at the University of Regina in Saskatchewan and St. John’s College in Belize. On Tuesday, February 5, 2019, AJCU’s Vice President for Federal Relations, Cynthia A. Littlefield, died at her home after a long series of illnesses. She was 67 years old. AJCU Mourns Former President Rev. Charles L. Currie, S.J. The Association of Jesuit Colleges and Universities (AJCU) mourns the passing of Rev. Charles L. Currie, S.J., who died on January 4 after a recent illness. He was 88 years old. 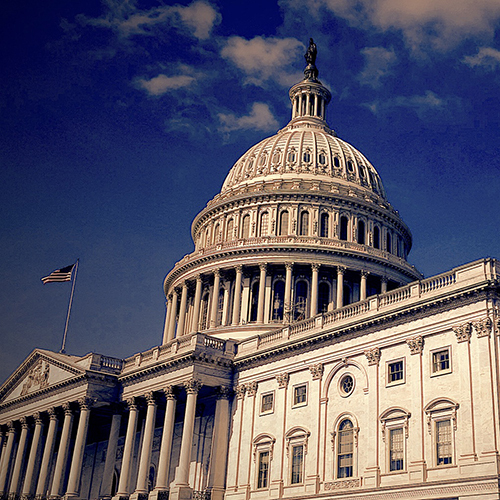 For the second consecutive session, Jesuit-educated alumni comprise 10% of Congress. Among the 535 members of the 116th United States Congress, 55 graduated from Jesuit institutions: 12 in the Senate and 43 in the House of Representatives. It has become a tradition for our schools to produce Christmas videos featuring greetings and well wishes from presidents, faculty, staff and students. We want to give a special thank you to the AJCU Marketing & Communications Network for sharing these beautiful videos and photos with us, and for putting so much time and energy into their productions. We hope you enjoy seeing Christmas on campus this year! Over the past six days, Jesuit campuses have hosted community gatherings, Masses and interfaith prayer services to honor the lives of the victims who were killed in the Tree of Life Synagogue shooting in Pittsburgh, PA on Saturday, Oct. 27, as well as the victims of recent hate crimes in Kentucky and other parts of the country. Click on the image to learn more about these events, and to read reflections from presidents and administrators of the nation's Jesuit colleges and universities. On October 11-13, more than 100 people from Jesuit institutions across the world gathered at Seattle University in Seattle, WA for the 34th Alpha Sigma Nu Triennial Conference. Sponsored by Alpha Sigma Nu (ASN), the only academic honor society to bear the name “Jesuit,” the conference drew student leaders from 31 ASN chapters; faculty advisers and coordinators from 18 chapters; and leaders of 11 alumni clubs.